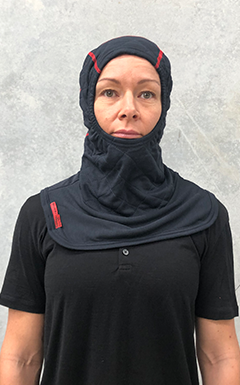 Multiple studies into firefighter health and well-being suggest that the flash hood is the most penetrable piece of protective clothing worn by the firefighter. A particularly troubling finding considering the face and neck have been identified as areas of significant dermal exposure to particulate matter and potential carcinogens. Particulate matter consists of microscopic solid particles or liquid droplets suspended in the air. The smaller the particles, the deeper they can penetrate into the dermis. So how do you protect against a threat you can’t see? 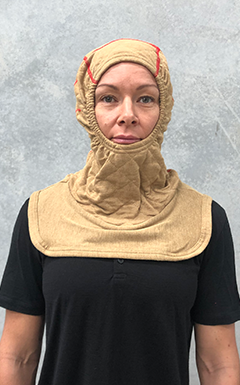 Identifying the risk of harmful particulates and the vulnerability of the face and neck have spurred the design and creation of next generation fabric composites that include NanoFlex technology. DuPont™ NanoFlex brings superior breathability and improved thermal protection performance to the mix, while creating a barrier that has been found to be 99.8% successful at filtering harmful particulates. Composites that include NanoFlex technology remained soft resulting in less noise being generated from head movement allowing for greater situational awareness. From these new composites, Bristol’s DuPont™ NanoFlex hoods were born. DuPont™ NanoFlex Flash Hoods are the smartest fire hoods on the market. They provide optimum comfort and protection and assist in mitigating heat stress. 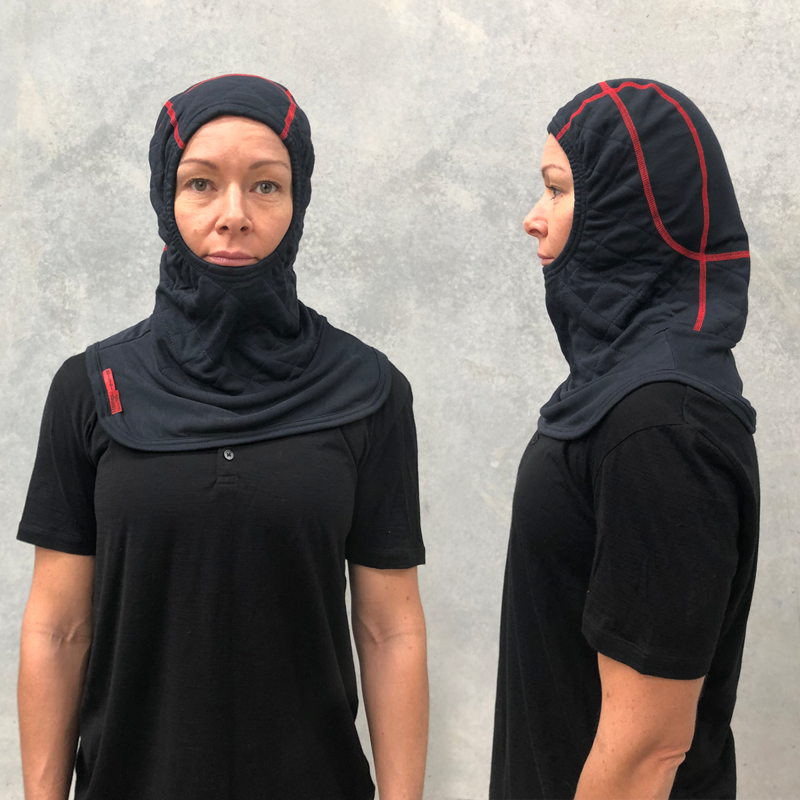 Hoods that include NanoFlex technology have been found to filter out up to four times the amount of harmful particulates found on the fire ground when compared to a regular fire hood. Bristol Uniforms offers a Nomex® /DuPont™ NanoFlex (THL 469 (W/m²)) blend as well as a PBI® / DuPont™ NanoFlex (THL 438 (W/m2²)) option for greater flashover protection. Each hood has a seperate head with sewn on back and front bib. The back of the head ends at the nape of the neck for an improved fit and increased comfort. The 100% red Nomex® thread clearly indicates the outside of the hood for faster donning. The Bristol NanoFlex hood range is available in medium and large for a crown sizes exceeding 57cm.